Year: 2007. Client: Adobe, USA. 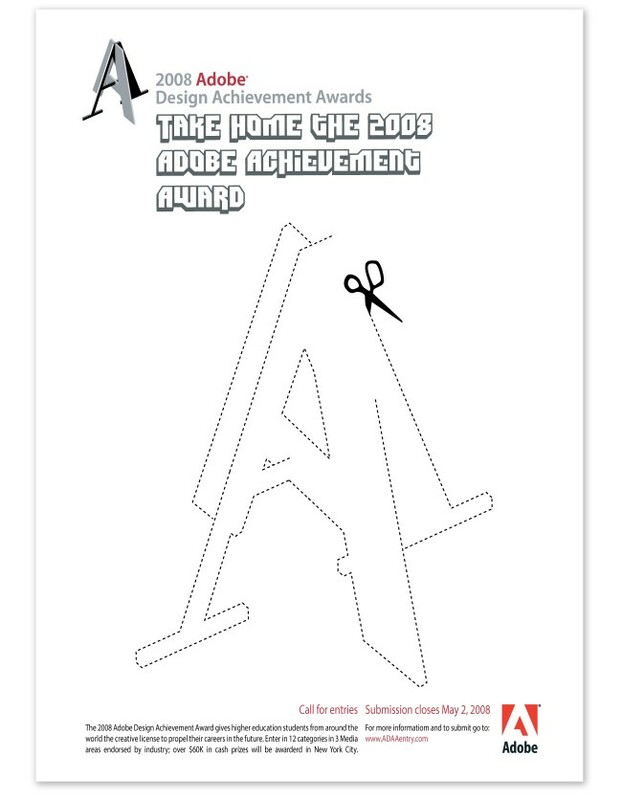 Upon invitation by Adobe, and as a previous winner of the award, Tarek Atrissi Design was asked to propose a visual identity for the 2007 Adobe Design Achievement Awards. The proposal consisted of a poster design promoting the competition’s call for entries, as well as related print and web material such as flyers and widgets. 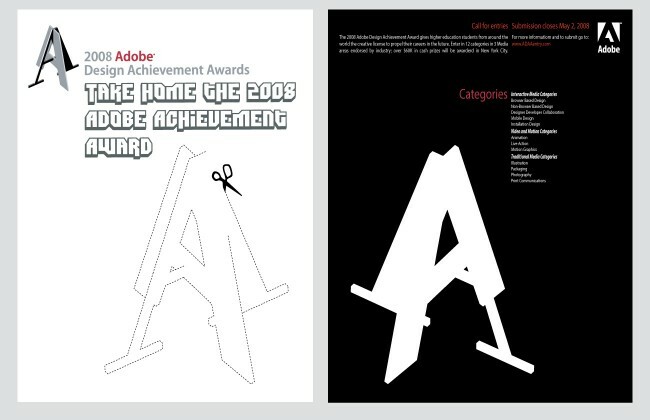 The design solution adopted was simple, focusing on the known logo of the award and the concept of taking the award in a graphic minimalist style.